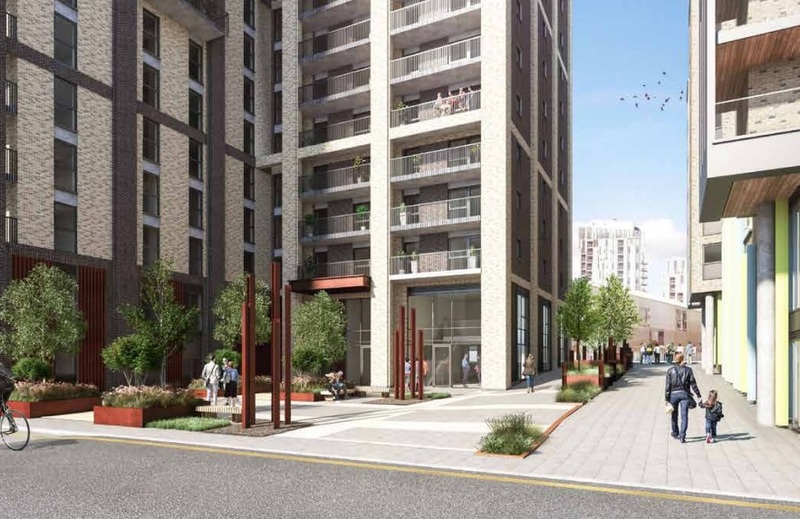 A 17 storey block on Norman Road in Greenwich has been approved by Greenwich Council. 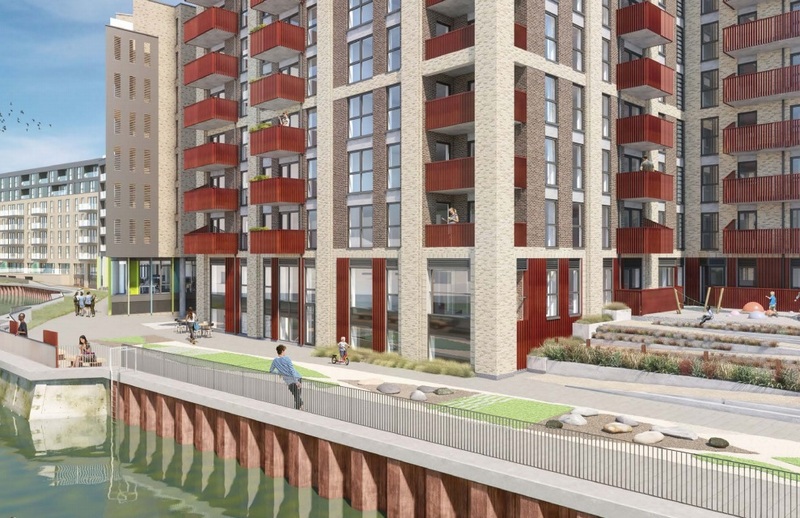 The site is currently a skip storage depot facing onto Deptford Creek. 145 homes will be built. It’s a chunky old block lacking much in the way of grace or elegance in design. One positive aspect is a Creek side path – though other sections are still closed off to the public years after they were due to open. £145,000 of Section 106 income will go towards GLLaB. Very little will go to the local community, wider public realm improvements including at run down estates on Norman Road nor health or education. Another not so elegant high riser for Greenwich. Out of interest there is another development currently taking place on the same side of Norman Road, adjacent to the railway line on the site of an old building supply yard. When observing from the railway bridge it looks like some of Deptford Creek is being over built as piles have been put in place. Is this to facilitate a walkway along the side of the Creek? If so this has been placed over the Creek rather than adjacent to the Creek thus narrowing it and enabling more land for building. 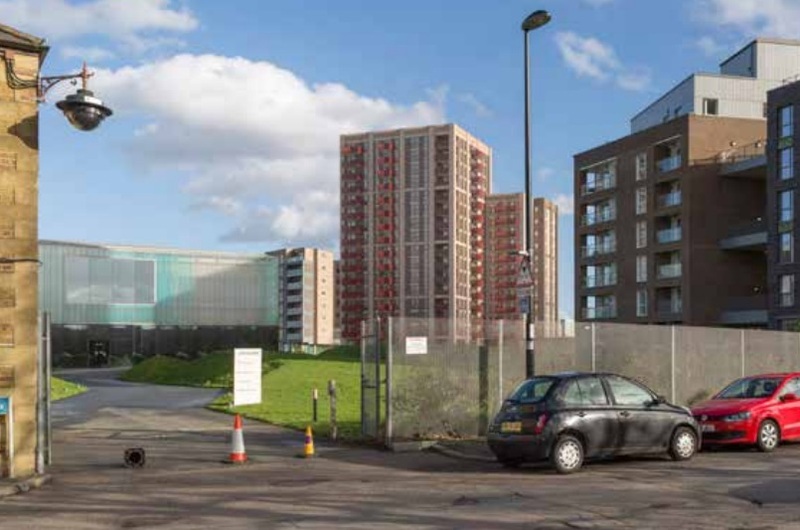 Once these developments completed money needs to be spent to improve the public realm around Norman Road and the Council Estate at Thornham Street,off of Norman Road.